With continuous hike in the sales of diesel cars in India and dip in the sales of petrol cars Government of India is keen on discouraging car buyers to opt for Diesel cars. The reason behind this intention is to reduce the consumption of Diesel on passenger cars as Diesel fuel in India is subsidized by Government and it causes revenue losses to government to give more subsidy as more diesel is consumed. Considering the change in demand of diesel cars after crazy petrol price hikes seen in past two years, the running cost of a petrol car is twice that of a diesel car in India. Before Indian Union Budget of 2012-13, Govt. was considering implementation of special excise duty to increase the initial price of Diesel cars further by Rs. 80,000 onwards. After recent hikes in petrol price in May 2012, the Govt. 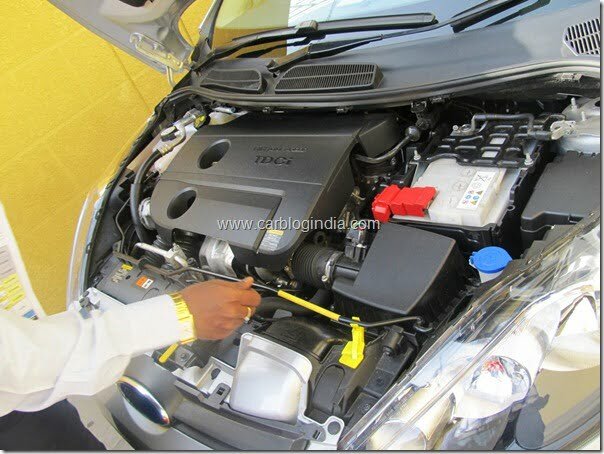 has again started considering implementation of special duty on Diesel cars. In a meeting between top officials of Central Board of Excise and Customs (CBEC) and top Executives from Indian automobile Industry and Society of Indian Automobile Manufacturers (SIAM) representatives, government officials have asked their opinion and stand on the proposal of implementing a hike in excise of Diesel cars. Govt. official have also asked automakers to share their inventory status and sales trends for past few months so that Government can make a better informed decision on the same. While the government is in favour of hike in the prices of diesel cars, Industry representatives and top officials from SIAM have been strongly opposing any hike in diesel car prices in India. With the sales of petrol cars already on a dip because of high petrol prices, the diesel cars are bringing some sales volumes for the auto Industry in India. If the prices of the diesel cars are hiked further it will bring a state of slowdown and will impact the industry adversely overall. Looking at these developments, it is not very certain that the the hike will be implemented soon or government will put off this decision for economic and political reasons. One of the proposals given by Industry experts to government officials was to decrease the wide gap in the prices of diesel and petrol by taking corrective measures in the pricing of these fuels in India which will help to restore a more healthy balance between the sales of petrol and diesel cars in India. We will keep watching the developments and will bring you latest updates on the same, stay tuned.